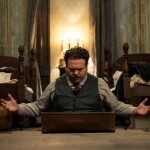 “Fantastic Beasts: The Crimes of Grindelwald” is getting an audiobook, narrated by Dan Fogler! This is an unexpected treat! Potter fans have been privileged to enjoy wonderful audiobooks of the Harry Potter series, narrated by Stephen Fry and Jim Dale. But after “All was well,” we hardly dared to hope for more. Today Pottermore, together with Audible, have announced that a Fantastic Beasts: The Crimes of Grindelwald – Makers, Mysteries, and Magic audiobook is being released via Audible on November 16 to coincide with the release of the film. This isn’t a new book from J.K. Rowling per se, it’s written by documentary maker Hana Walker-Brown and journalist Mark Salisbury, and produced by Pottermore Publishing with Audible Originals and Warner Bros. Consumer Products. · Eddie Redmayne (Newt Scamander) describing how this film is a ‘different beast’ in terms of its pace, direction, and stakes, and discussing the development of his character in relation to a whole host of new cast members. · Jude Law (Albus Dumbledore) on portraying a younger Dumbledore. · Zoë Kravitz (Leta Lestrange) discussing her character, revealing insights into the Lestrange family. · Ezra Miller (Credence) and new cast member Claudia Kim (the Maledictus) exploring their characters’ complex journeys and the intense bond they share. 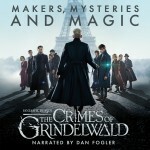 · Fascinating insights into building a magical version of 1927 Paris on a studio backlot in outer London, including what influenced the design of new wands, why puppeteers perform on set with the key cast members, and hidden details and artistic references in the iconic wizarding world wardrobe designs. Recorded during filming at Leavesden Studios, the audiobook also features interviews with a host of key members of the filmmaking team including director David Yates, producer David Heyman, production designer Stuart Craig, graphic designers MinaLima, make-up artists, prop makers, set decorators, woodworkers and steelworkers, stunt men, extras, the catering crew, and more. 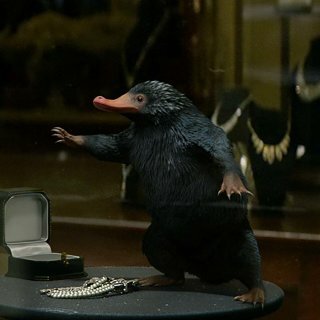 Yay, Nifflers! We always always want to hear more about those cute little guys. You can preorder the audiobook from Audible here.